Editor's Note: The following (wonderful) piece is a guest post by Shanna Mann. We both use and love the CRM Contactually. In fact, Shanna convinced me to give it a try in the first place, so I asked her to write a post about her experience. Take it away, Shanna. Ethan asked me to review Contactually, a customer relationship management software, after I raved about it (and got him using it, too.) CRMs help you maintain relationships and stay top-of-mind with your customers and contacts. It can help you make sales or stay abreast of potential professional opportunities. But, I didn't want to make you sit through a long video while I raved about Contactually, so I thought I'd tell you my favorite things about Contactually, and hope you think they're cool too. If you've ever attempted to use a CRM before, you know how tedious it is getting your contacts in there in some usable form. You have to sort, and categorize, and tag, and it takes a LONG time. 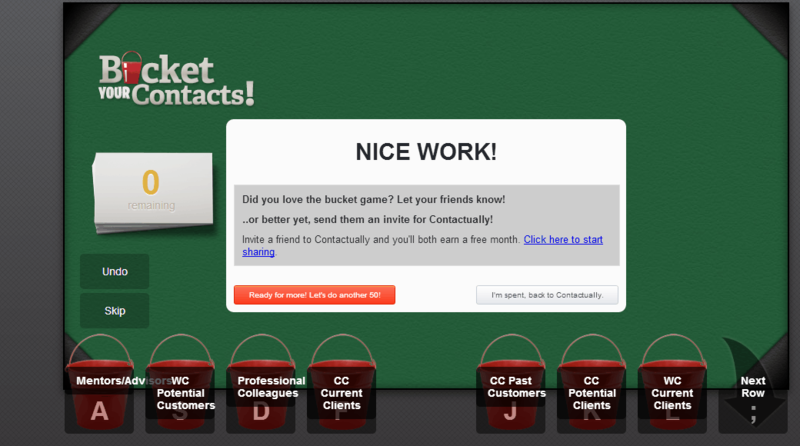 But instead, Contactually has what they call the Bucket Game. It's pretty much exactly like Baydin's Email Game. A timer starts, and a contact pops up. You hit a keystroke (ASDF JKL;) to sort it into a bucket (category). 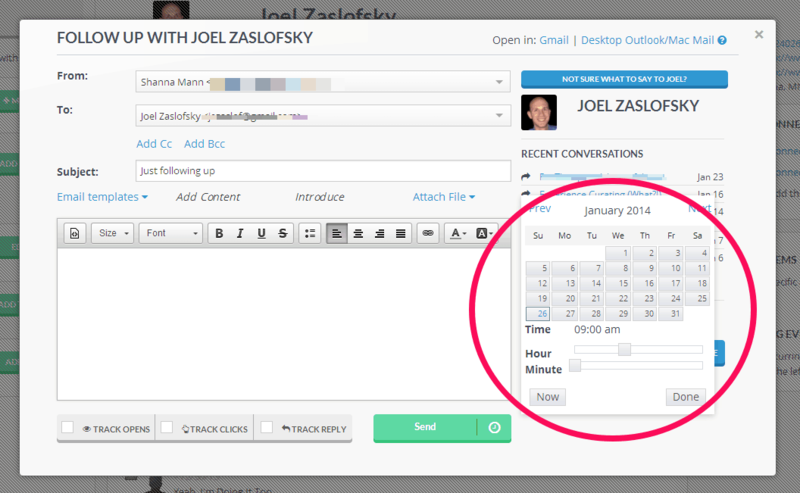 You can do fifty contacts in 2-3 minutes, so it goes pretty fast. I have no idea why no other CRM has done this. It's brilliant. They took the most painful part of (and the biggest objection to) using a CRM and made it fun. Okay, companies all over are stepping up their game when it comes to customer service. But even among that group, Contactually's customer service stands out. Three days after signing up, I get nice email from the VP of marketing, Alexandra. I know it was an autoresponder, but it didn't read like one– and when I wrote in to congratulate her on that fact, and ask a quick question, she responded in a timely manner. 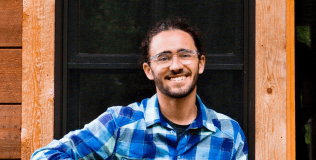 After two weeks of using it, I got an email from Nick at Contactually offering to arrange a call with me to answer any questions I had and to make sure I was getting as much utility out of the software as I could. I asked about the Pipeline option, one of the perks available at the next tier, and he filled me in on it. The data visualization/dashboard seems pretty useful, but it's $40 a month compared to the $20 a month I’m currently spending. I'm just a tad too stingy for that still. And then, while we were on the call, he asked me what my business was, and then suggested the name of a company he knew that could use our services– a fantastic illustration of the power of a well-organized contact system. 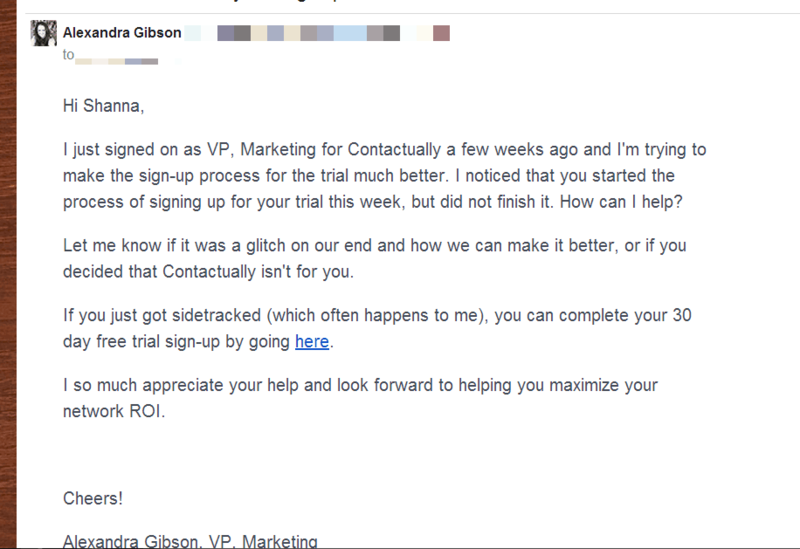 Finally, when I took a break from emailing people during the holidays, Susan at Contactually emailed to make sure everything was working for me. I asked her about an issue that had been bugging me (not being able to reply in-thread) and she responded the same day with screenshots. I have not yet met the third member of their customer service team, Brent, but I'm sure he is delightful. I tend to do most of my email writing in the evening. However, I don't particularly want to email people at that time of day. I want to look like I have a life, after all. (Joke's on them, I'm usually watching Netflix at the same time!) Personally, I like to make my emails land in time for coffee-break, when, assuming everyone is exactly like me they are grabbing a fresh cup and reading the newest batch of emails. Sure, Boomerang already does that, but you know what it does even better than Boomerang? One of the things I don't like about Boomerang is that it's open-tracking feature is voluntary: Ergo, it's not actually open-tracking, it's a read receipt. However, for one of my businesses, my marketing consists basically of cold emails offering our services. I really like to know whether those suckers are opened, you know? The other thing I like is the “Follow-up If No Response” feature. At any given time I'm organizing something with 3-4 people. Having a reminder set in place in case they don't get back to me frees up my attention for other things. Hence, Contactually totally replaces Boomerang, except for one thing: These features are only available in-app. They do have plans to add it to the Gmail interface, they said when I asked, but it's not there yet. So I actually do use the free version of Boomerang for the odd thing when I'm not in Contactually. If you've ever sat down to send a quick hello to someone you met recently (or haven't heard from in a while) you've probably experienced that awful sensation of having nothing to say. Templates help with that a lot, especially if there's information you have to cover often. Or if you want to follow-up with client in a low-pressure way. Or if you do cold emails– no sense in reinventing the wheel. You can even set up your templates with merge tags, so they autofill with particulars from your contact file, such as their title, or the last time you spoke. I don't use it very often, but I could see getting very sophisticated templates set up. I mentioned Buckets briefly when I talked about the Bucket Game, referring to them as categories. You could certainly use them as categories, but the primary function of Buckets is to divide people up on the basis of how often they should be contacted. For instance, former clients go into a Bucket that reminds me to contact them at least once in a 4 month period. Current clients go into a bucket that ensures I talk to them at least every two weeks. You can use the buckets similar to tags if you like– there's no limit on the number you can have (though it does get a bit unwieldy to sort after a while.) Every bucket is fully customizable. You would think that this concept of Buckets would be a reasonable and rational thing to have in a CRM, but actually, it's rare. The other CRMs I tried only allow you to set manual follow-ups for individual contacts– a time-consuming and laborious process that has to be repeated after every interaction. Buckets make follow-ups a breeze. You can set the max number of follow-up reminders you get in a day, you can set them for just weekdays or every day, and, based on your preference, Contactually will offer you a handful of names to make contact with. If I have 100 people in a Bucket that's set to be contacted every three months, Contactually won't bother me with them while they're still warm. But when they start to cool off, I'll start getting a trickle of names suggested to me. I haven't really tested to see how they determine “cool” but they do use a color coding system so you can see at a glance how many people are “warm.” And, if you don't have any contacts that are suitable “cool” enough to merit a follow-up yet, you just don't get any assignments. This system could not be any more foolproof, and frankly, having experienced it, I would never go back to another CRM that lacked this functionality. And that's not all. When you do get a follow-up assignment, you can easily skip, postpone or deep-freeze people you don't feel like talking to, even if they're in a particular bucket. #1, Snooze, hides the contact for a predetermined number of days. It’s basically a Postpone button. #2, Ignore, is basically a “hide contact” button. If you have someone you don’t want to talk to anymore, for some reason, you can hit ignore. Contactually will then ask me if I want to ignore them permanently or just for a while. Honestly, I don’t use this button much, maybe twice? Because in the Bucket Game I already filtered out the people who I wasn’t planning to keep up with. #4, Skip, is one I tend to use on busy weeks. If I only have time to do the bare minimum, the people I don’t necessarily need to follow up with get skipped. That gets them tossed right into to mix to be potentially selected the next day to get followed-up with, without upsetting your schedule. Being able to use these buttons enables you to get to “Inbox Zero” with you followups, because all your possible decisions are right there for you to choose. 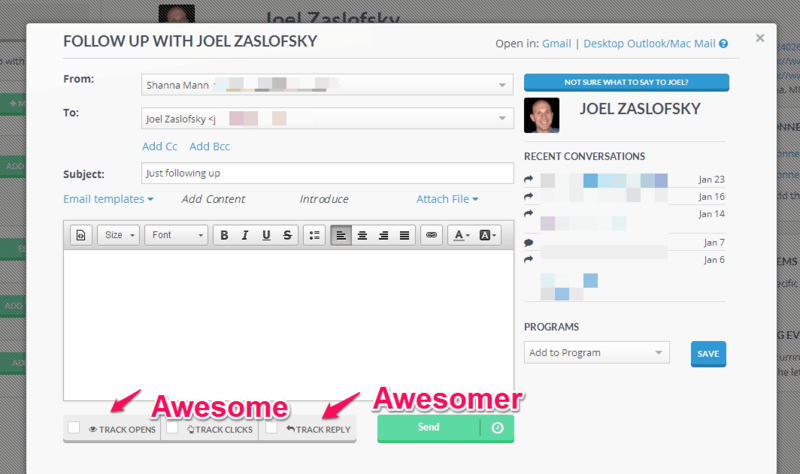 I love Contactually. I spend several months researching and testing various CRMs, and Contactually blew them out of the water by a large margin. CRMs can be painfully clunky to use, and I feel like Contactually successfully balances between being easy to use and fully-featured enough to be really useful. Shanna Mann is an entrepreneur and business coach for solopreneurs. Check out her site, Change Catalyst, for practical advice on building flourishing and fulfilling business.